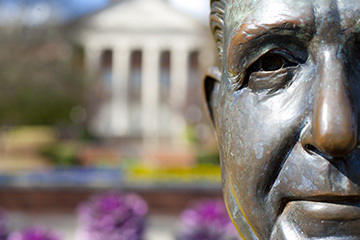 The Samford brand is much more than a logo or trademark. Our brand is everything someone thinks of when they hear the Samford name. It represents the essential values of our university and ultimately the reason we exist as an institution. The Samford brand is precious, and like all great organizations, we must manage and steward our brand with great care. In an effort to do just this, Samford is undertaking an important research and identity project to improve the ways we communicate the mission, programs and brand of our university. This project will take several months to complete, and ultimately will culminate in an improved communication strategy and identity system for our university. We need YOUR involvement.This project begins with research that is entirely built around the input of the people who know Samford University best — our employees, students and alumni. A series of nine live focus groups will be conducted between April 18–21, and your voice is important to the success of this project. These gatherings will provide meals, fellowship and important discussion as we each contribute our ideas about Samford, our mission and our future. View the complete list of focus group dates and times and register here. Thank you for your participation in this important project for our university. Betsy Bugg Holloway, Ph.D., is vice president for marketing and communication and professor of marketing in Samford’s Brock School of Business.